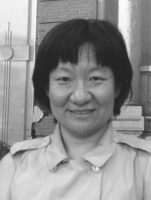 Dr. Lin Liu is currently working with the School of Software, Tsinghua University, as an associate professor. Her main research interests are in software engineering and information systems engineering and in particular in Requirements Engineering. Dr. Lin Liu’s main research contributions in the requirements engineering area are: she has been conducted research in requirements engineering methodologies that integrate goal, agents and scenarios modeling, security requirements modeling and analysis using i* framework, Formal analysis to requirements specifications using Model Checking tools and cultural perspectives of requirements engineering practices in China. She serves on the program committee of the Requirements Engineering Conference in year 2010~2013, being the co-organizer of IEEE workshop of Requirements Engineering for Services service since 2008. She has (co-) authored 100 research articles related to RE, and a Book on RE in Chinese.